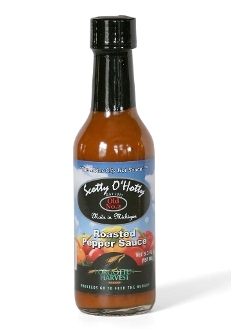 A mild version of our original gourmet sauce (Premium Habanero Sauce), same great flavor without the heat. We call this sauce the Franks killer! This fire-roasted veggie sauce is a chef favorite combining mouth watering ingredients with just enough heat to spice up any dish! The robust flavor will give a jalapeno level kick to any dish, soup, stew, seafood, sauce, wings, Mexican or marinade. We are so proud to partner with Forgotten Harvest on this delicious sauce! A portion of all proceeds go to feed the hungry! Finished in the top ten at the Scovie awards three years in a row.